Come support Waterford Student Council and Spanish National Honor Society at the Beverly Par Mar today and tomorrow (4/17-4/18) from 3:00-5:00. They are pumping gas for donations to Relay for Life. The proceeds fund cancer research and help cancer patients. Hope to see you there! National Honor Society will be providing FREE tutoring sessions to any high school student on January 29th and 30th after school until 4:45. Sign up in the HS office if interested. Thanks! CCP Books are now ready to be picked up in the High School office during the school day. Seniors - class meeting tomorrow. Remember to bring your graduation orders. Also, the Rep will be here to collect class ring orders. Tonight's Band Concert is at 7:30 tonight - not 7:00. The District Band Concert will be held tonight at 7:00 at the Cooper Gym. The Choir Concert will be held on Sunday at 7:00 at the Waterford Church. Reminder School Pictures are tomorrow beginning at 7:30 am in the small gym for grades 9-11. School Pictures will be held on Thursday September 13th for grades 9-11. Seniors will be in October. High School Schedules are now on the portal. Please check your schedule and contact Mrs. Morris if changes need to be made. If you need assistance with the portal - contact Mrs. Morris or Mrs. Wagner. The Athletic Boosters will meet on Tuesday July 10th at 7:00 pm at The Cooper. All future meetings will be held on the 2nd Sunday of the month. Athletic Boosters will meet June 11 at 7pm in the Cooper Commons to discuss the upcoming school year. Wolf Creek Locals Schools will be in session on April 2, 2018 as a make up day. 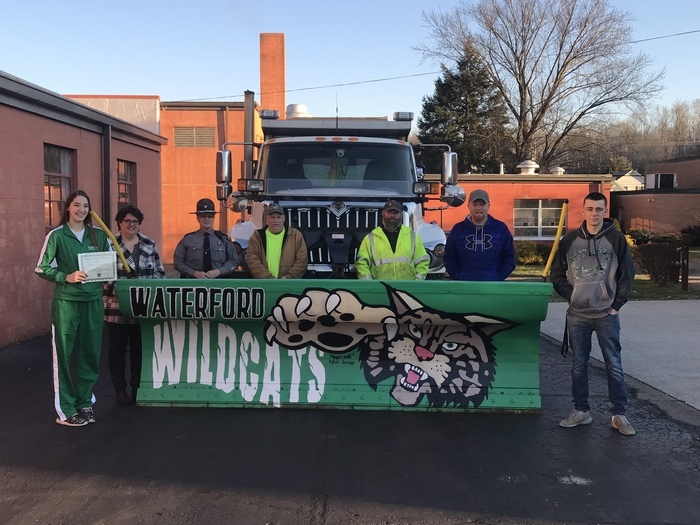 Wolf Creek Local Schools will be closed Thursday March 15, 2018 to allow students and staff to travel to Girls Basketball State Semi-Final Game at The Ohio State University at 3:00. Varsity and JV Boys will make up their game at Trimble on Wednesday March 7 at Trimble. Junior Class Members - Class dues are due tomorrow by the end of the day. Students with unpaid dues will not be permitted to miss class on April 27 to decorate for Prom. Dues are $15.oo. Reminder that HS Class meeting will be held on Tuesday January 23rd. There will be a College Credit Plus meeting in the High School Band room on January 24th at 6:30pm. If you have questions, please contact Mrs. Morris by email or at the school. Class Meetings and Staff Meetings will be held at the High School on Tuesday January 23. 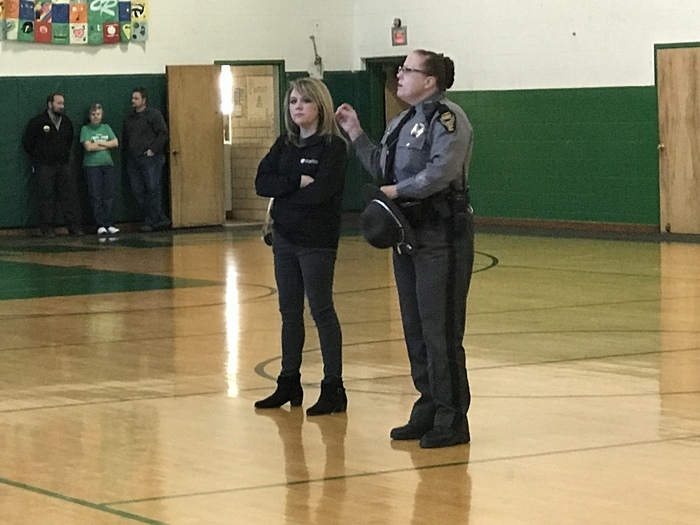 Thank you to ODOT and the State Highway Patrol for the presentation on safe winter driving. 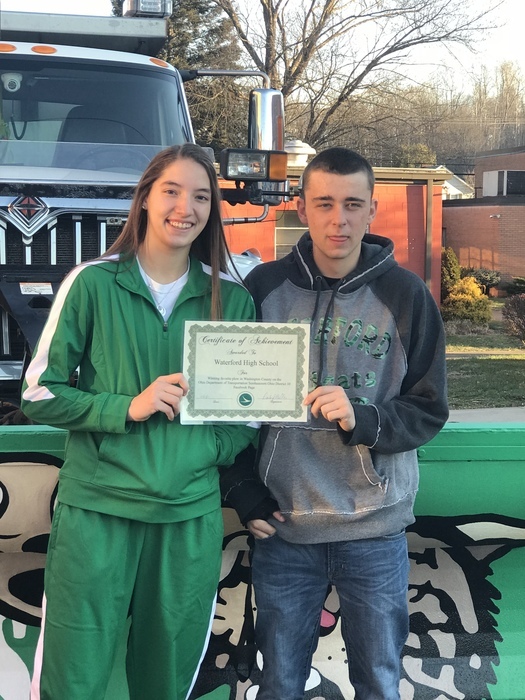 Also, congratulations to Megan and Dylan for receiving a certificate for wining the plow competition.